Birthday wishes for your best friend on their birthday can go a long way in showing them how much you appreciate them and how much you value the day they were born. It can also be the most amazing and exciting gift you can give to a friend. We have compile long and short birthday wishes for that special friend of yours. #1: You have been my closest and dearest friend for a long time. 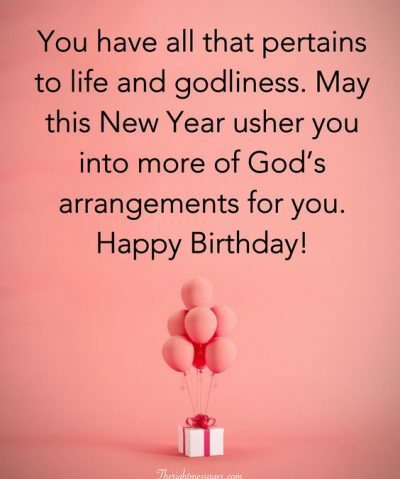 I wish you the very best on your birthday and in the year to come. Happy Birthday. #2: Today, on your birthday, I wanted to let you know just how important you are to me. Happy Birthday to my very best friend in the whole world. #3: Happy Birthday to my best friend. I hope that you have a lot of fun this day and that you have a happy and prosperous year to come. #4: My dear friend, I wish you all the best on your special day. Blessings for today and for the year to come. #5: I am so happy and grateful to have you in my life. I wish you well on your birthday and blessings for the year ahead. #6: To my dear friend. I wish you joy, happiness, and more blessings than you can count on your birthday and for the year to come. #7: Happy Birthday to someone who knows me better than I know myself. I look forward to many more years as your friend. #8: Your friendship means more to me than you can ever know. I celebrate the day that you were born and wish you many blessings in the year to come. #9: May this day bring you joy and happiness, and may the coming year be filled with blessings. Happy Birthday to you, my dear friend. #10: My dear friend, you are so loving and caring, and you do so much for others. Today is all about you. Happy Birthday! #11: Wishing you all the best on your birthday. You are a dear and loving friend, and I am so happy to have known you for so long. #12: On this day of your birth, I pray that this year brings you all of the happiness you could possibly imagine and that all of your dreams come true. #13: Happy Birthday to you, my best friend. We have been friends for longer than I care to admit. Where did the time go? Blessings for the year to come. #14: It is your birthday, my dear friend. How many candles should be put on your cake? How about three, one for yesterday, one for today, and one for tomorrow. #15: You are not just my friend. You have become closer to me than family. I am so lucky that I have known you for so many years. Happy Birthday! #16: I have a theory that there are no calories on your birthday. Enjoy your day and many blessings for the year to come. Happy Birthday, my dear friend. #17: My life is so much richer because you are my friend. I hope that this year brings you everything that you hope it will. Happy Birthday, my dear friend. #18: My dear friend, you have been such a blessing to me for so many years. I wish you the best on this day and in the year to come. #19: Happy birthday to a sweet soul, you deserve every good thing that comes your way. Have a blast!! #20: Happy birthday to my dear and precious friend. May you have a wonderful day and may the coming year be filled with blessings and joy. #21: I pray your special day grant you all the wishes that you’ve desired. Happy birthday! #22: I’m wishing you a birthday filled with love, laughter, happiness and all of your heart desire. Have a blast! #23: You’re my best friend and I’m hoping your birthday is as sweet as you are to me. Happy birthday dear! #24: You’ve always been a source of joy to me and everyone around you. Happy birthday! #25: I’m wishing you an amazing 365 better than the one you’ve had before. Happy birthday! #26: Count your blessings but remember to count today twice because you’ve been granted another opportunity to celebrate life. Happy birthday! #27: You made me the luckiest person in the world by being my best friend and I’m glad to call you my friend. Happy birthday! #28: To the world best friend, I want you to enjoy every bit of today. Happy birthday dearest! #29: I’m wishing you a birthday filled with all of your heart desire and all you’ve ever prayed for. Happy birthday! #30: May favor and joy find their way to you, may you never lack anything good today and forever. Happy birthday dear! #31: Happy birthday, may life continue to bring you all the goodies that comes with age. #32: I celebrate you today because you deserve every bit of it and you worth more. Happy birthday best friend! #33: May your days be crowned with happiness and love, may you be favored in all ramifications. Happy birthday sweetheart! #34: You only get a chance to celebrate your birthday once in a year, let make today outstanding. #35: Happy birthday to my dear and precious friend. May you have a wonderful day and may the coming year be filled with blessings and joy. #36: May you find real happiness in all that you choose to do today. Happy birthday dear! #37: I am so grateful for your friendship. I wish you the happiest of birthdays and for the coming year to be the best ever. #38: I hope that today’s birthday is as filled with as much excitement as birthdays did when we were young. Best wishes for a happy birthday and a prosperous year ahead. #39: Your friendship has been such a joy to me. I wish you the very best of birthdays and look forward to your friendship for many years ahead. #40: May the coming year be filled with every blessing and joy imaginable. Happy, happy birthday to the best friend a person could ever have. #41: I can hardly believe it is your ____th birthday. Where have all the years gone? Oh well. Best birthday wishes for today and for the year ahead. #42: You have always been a good friend to me. You have been there for me whenever I have needed you. Happy birthday, my dear friend. #43: I think that someone important was born today. Who could it be? Oh, yes! It was you! Best wishes for a happy birthday and a year filled with blessings. #44: Happy birthday to my very best friend. I hope that you have a wonderful day and that all of your birthday wishes come true. #45: It’s your birthday again. 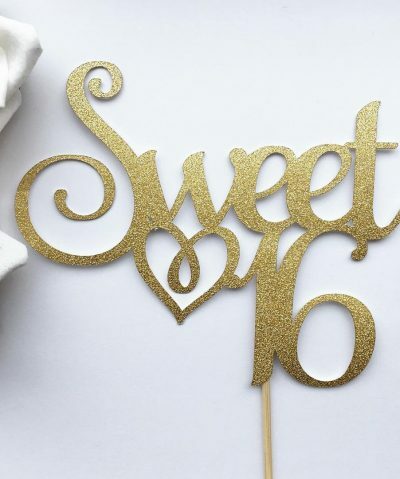 So, how many candles will be on your cake this year? Oh well, never mind. Best wishes for today and the year ahead. #46: Did you say you were turning 29 today? How many years has this been? Happy birthday to you this year and best wishes for many years to come. #47: When I count my blessings, you are always at the top of my list. I hope that your birthday is as happy as it can be. #48: I am blessed to be able to count you as my very best friend. I look forward to many more years with you. Happy Birthday! #49: I could not wish for a better friend. I hope that today is filled with fun and happiness and that the coming year brings many blessings. 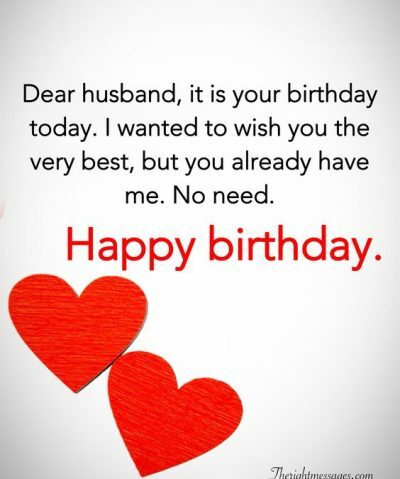 #50: I’m wishing you a wonderful birthday, have an amazing year ahead. Happy birthday! #51: You’ve added a year to your age and I pray you add more wealth, wisdom and more prosperity. Happy birthday! #52: Cheers!! because a special soul was born today. Happy birthday darling. #53: We raise our cups high in celebration of the birth of the sweetest person I’ve ever come across. Happy birthday darling. #54: You’ve always been in my thoughts and at the top of my heart, happy birthday dearest. Enjoy your day! #55: Let today stands as a reminder of all the blessing heaven has granted you. Happy birthday dearest. #56: Darling you’re more than a conqueror because you’re lucky to witness today. Happy birthday! #1: So, it is your birthday again. So, what are you now? 29? Me too. Don’t worry, I won’t tell if you won’t. What best friends are for if not to keep your secret about your age? Anyway, I hope that you have a wonderful day today and a great year to come. #2: We do not get to choose our families, but we do get to choose our friends. You have been closer than family to me. I can talk to you about anything, and you always make me feel better when I am upset. I wish you the best on your birthday and for many years to come. #3: It is hard to find words to express just how much your friendship means to me. You have been part of every important moment in my life, and you have been there for me whenever I have had difficulties or sorrows. On this day of your birth, I wish you every happiness and blessing. Happy Birthday, my dear friend. #4: We have known each other for a long time. I remember when we were children together and went to each other’s birthday parties. Now we are both a little older and our birthday parties are a little different, but you are still my dear best friend. Happy Birthday, and blessings for the year to come. #5: Dear best friend, it’s your day today and I want to use this opportunity to tell you how amazing you are to me, you showed me love even when I wasn’t capable of loving myself, you’ve always look out for me. Happy birthday best friend, have an amazing year! #6: Darling, May this special day be filled with loving memories full of fun and the company of good friends, may love find its way into your heart and blessings into your home. Happy birthday dearest friend! #7: Dear best friend, my prayers for you today is that May God’s goodness and mercy follow you all the days of your life. Love shall continue to fall on you in pleasant places, what you’ll have all through your life is nothing but joy. God will perfect everything and anything that concerns you. Happy birthday dear friend, keep soaring. #8: You finally made it to another new year in your life, a year of perfection. God will give you all-round victory in every sphere of your life, the Angels of the Lord will surround you to keep you from falling. They will carry you through this year and your days will be filled with joy. Happy birthday dearest, more grace and more prosperity. #9: To a wonderful soul full of love and life, you’re indeed a blessing to me and to everyone around you, you restless spirit full with love and happiness is one of those things I cherish about you, your level of intelligence and wisdom surpasses all and your gentle soul is what makes me wonder what an angel you are. Happy birthday dear friend. #10: I am really proud of you and your achievements, the road hasn’t been really smooth but you’ve made it this far and I can only be happy and thankful to heaven for you, you’re my champion and my best friend. Happy birthday to my all time hero. #11: A soul like you is hard to find and a friend like you rarely exist, I’m indeed the lucky one because I’ve got a friend with the most amazing soul. You’re really worthy of my celebration. Happy birthday dearest. Enjoy your day! #12: A best friend is someone who challenges you to be a better person, someone who can’t stand to see you sad or in tears, someone who stays faithful, loyal and committed to what you both share and someone who would stand by you in thin and in thick. I’m glad because that’s exactly what you are to me. Happy birthday dearest! #13: When I had nothing, you stood by me, you gave me hope where I had once lost it, you showed me light when I was in darkness, you show me the way when I couldn’t find my path and you gave me friendship when I had no one for me, you’re indeed a rare gem and I will keep celebrating you every day of my life. Happy birthday best friend, have a wonderful year ahead! #14: I’ll always value my friendship with you from now till the end of time, you’re intelligent and full of wisdom, you’re just the best anyone could ever have or think of. Happy birthday my one in a million friend. Enjoy your day! 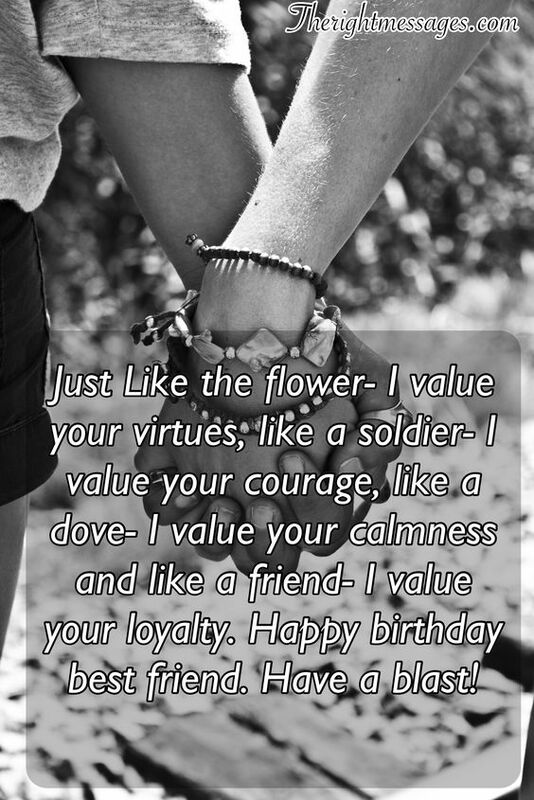 #15: Just Like the flower- I value your virtues, like a soldier- I value your courage, like a dove- I value your calmness and like a friend- I value your loyalty. Happy birthday best friend. Have a blast! 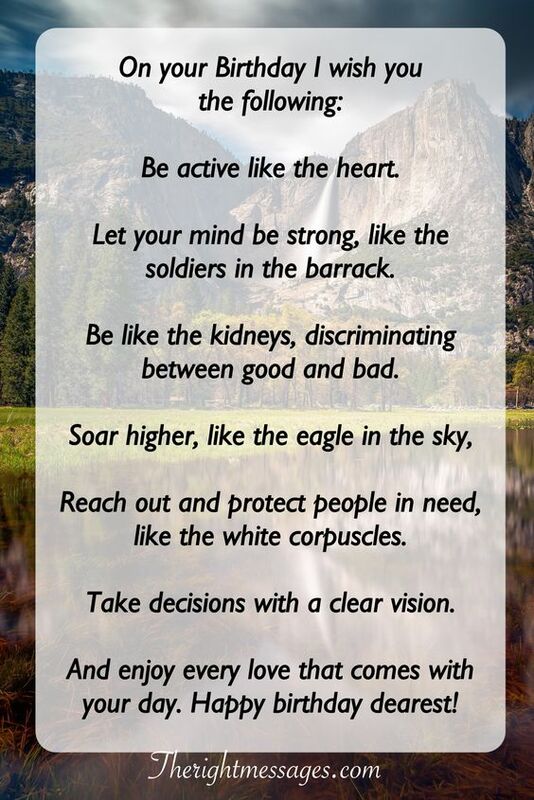 Be active like the heart. Let your mind be strong, like the soldiers in the barrack. Be like the kidneys, discriminating between good and bad. Reach out and protect people in need, like the white corpuscles. Take decisions with a clear vision. And enjoy every love that comes with your day. Happy birthday dearest!